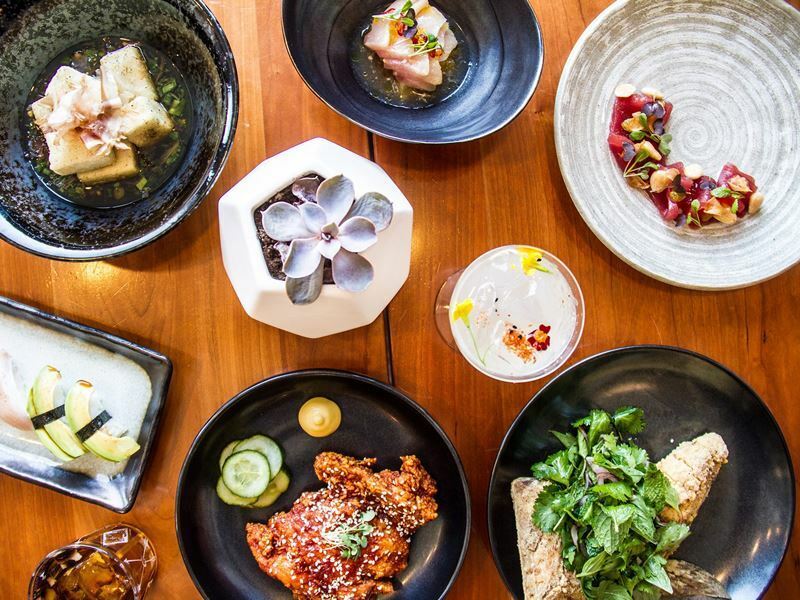 Washington D.C. has recently become a foodie’s paradise and there’s never been a better time to dine out in the nation’s capital than right now. Laden with award-winning restaurants regarded as some of the best in the country, Washington D.C. is home to a diverse array of dining options, from swimmingly fresh sushi joints and drool-worthy steakhouses to sunshine-speckled Mediterranean restaurants and cool New American dining rooms. We’ve ranked the top 10 restaurants in the city, featuring each one because of its incredible food, exceptional service and superb surroundings. 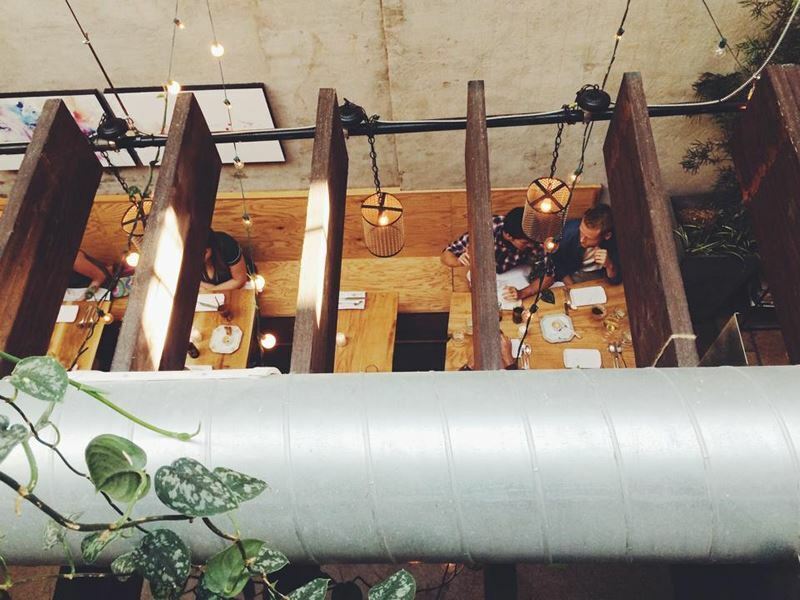 But to be honest, we’d jump at the chance to eat at any of these gourmet venues, regardless of its position. The scene: A leader of culinary luxury and excellence, Fiola boasts a highly refined menu influenced by the diverse regional cuisines of Italy, complemented by a stellar and nationally-recognised wine programme. The hands-on approach, incredible attention to detail and eternal love of fine food shown by the owners, an Italian-Spanish immigrant duo, shine through in every delectable dish, making this one of the finest Italian restaurants in town. The daily changing menus represent the couple’s true commitment to continuous evolution and honour the great bounty of every season with fresh, local produce. 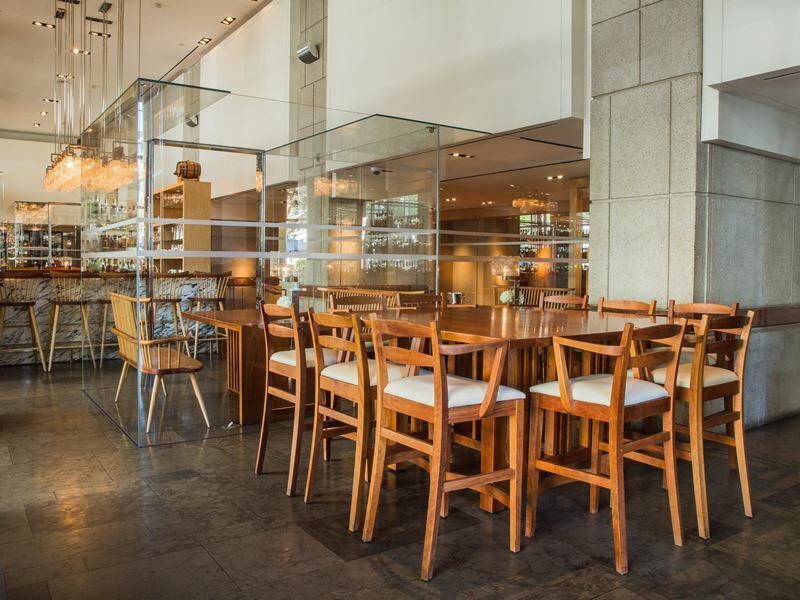 Diners can enjoy a la carte selections, such as Elysian fields lamb with aubergine and squab saltimbocca with morel mushrooms, at the chic bar or homey patio or indulge in the multi-course tasting menus in the elegant dining room for lunch or dinner. The Mediterranean cocktails, inspired by superb Italian flavours, provide the perfect accompaniment to any dish. Signature dish: Nova Scotia lobster ravioli flavoured with ginger and chives, served with a delicate mound of roe. The scene: Established way back in 1856, Old Ebbitt Grill was famously a favourite of Presidents Theodore Roosevelt, Harding, Cleveland and Grant and remains a popular dining hotspot for important names in politics today. 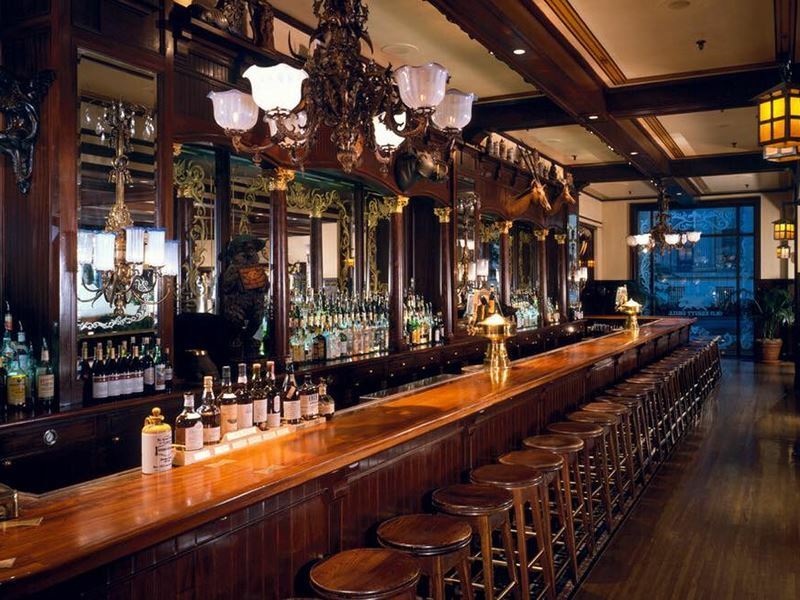 Here a Beaux-Arts façade, eye-catching marble bar, sophisticated mahogany booths and brass-adorned glasses work together to create a distinguished atmosphere that evokes memories of high class Western saloons. For over 100 years, the tasteful restaurant has been praised for its hamburgers, made exclusively with freshly ground and locally raised grass-fed beef, but the dinner menu extends far beyond that to include sandwiches, salads, pasta, meat dishes, seafood and cheese platters. As you’d expect for a venue of such high calibre, the restaurant’s amazing wine list has received the Wine Spectator Magazine “Award of Excellence” for 18 consecutive years, but you’ll find a wide selection of beers, spirits and the signature Clyde’s Classic Cocktails available to choose from, too. Signature dish: Jumbo lump crab cakes, served with spring peas, rainbow carrots, Vidalia onions, crispy new potatoes and lemon butter. 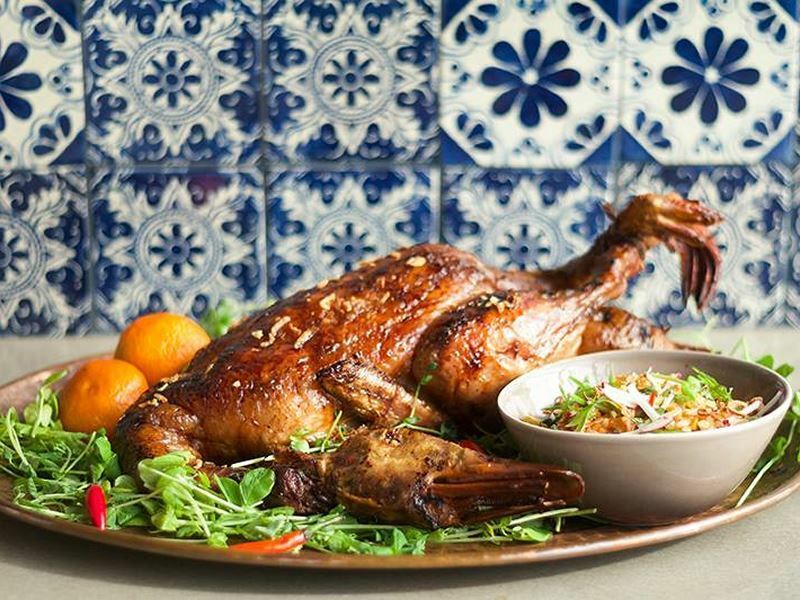 The scene: Serving inventive American cuisine that showcases the finest fresh and seasonal products in the region, Blue Duck Tavern is a casually chic dining venue that immediately evokes the warm and inviting setting of a home kitchen as soon as you walk through the door. The restaurant’s cuisine is deeply rooted in the solid concept of serving hungry diners simple and rustic food with a hint of artisan flair, resulting in consistently excellent farm-sourced meals. Reflecting the seasons and the chef’s creativity, the dinner menu features a wonderful choice sophisticated comfort food, with dishes such as fennel pollen and pepper-crusted tuna, veal chop with coffee-roasted carrots and oysters on the half shell with house-made vinegar. The designer-rustic setting and smiling friendly service further enhance the home-away-from-home atmosphere, while the excellent wine options, lengthy tea selection and fabulous brunch dishes remind you that you’re at a Michelin Star restaurant. Signature dish: Moulard duck breast from Hudson Valley, New York, served with a strawberry-rhubarb compote. The scene: Named after the Japanese word for “secret”, Himitsu combines exotic herbs, sharp acidity and pure freshness to create exotic fusion food that adventurous diners can’t get enough of. The menu offers a truly unique blend of Japanese, Southeast Asian and Latin American influences, and although almost the entire menu changes daily, the signature cuisine is reliably full of flavour, colour and excitement whenever you visit. Made up of a huge selection of delicate, gallery-worthy small plates, the cuisine covers everything from creative takes on sushi and seafood, such as the daring sea urchins on brioche, to hot main courses and Asian classics such as soft shell congee. The minimalist dining room with wooden accents and a basic colour palette provide the ideal intimate and boutique feel in which to enjoy the temptingly bizarre menu options alongside artful cocktails from around the globe. Signature dish: Although the menu changes daily, hamachi + orenji (yellowtail with a fish sauce vinaigrette, Thai chilli, orange and yuzu tobiko) is usually featured and is reliably delicious. The scene: Boasting an atmosphere built on comfortable elegance, The Capital Grille is best known for its extraordinary dry aged steaks and unparalleled choice of fine global wines. Set inside a commanding building worthy of Washington D.C., The Capital Grille offers diners a mesmerising view that winds down Pennsylvania Avenue to the infamous Capitol building. If you can tear your eyes away from the movie-worthy backdrop, you’ll be able to soak up the moody lighting, dark wooden furniture and classic artsy accents that give this famous restaurant its dinner club atmosphere. The menu highlights a variety of top quality cuts of beef, from sirloin and tenderloin to New York strip and filet, served with classic accompaniments, as well as a comprehensive offering of seafood, salads and sharing platters, particularly diverse for a steakhouse. To complement the rich cuisine, the wine list features more than 350 world-class bottles originating from almost every wine growing region on the planet. Signature dish: Porcini-rubbed bone-in ribeye with 15-year aged balsamic vinegar. 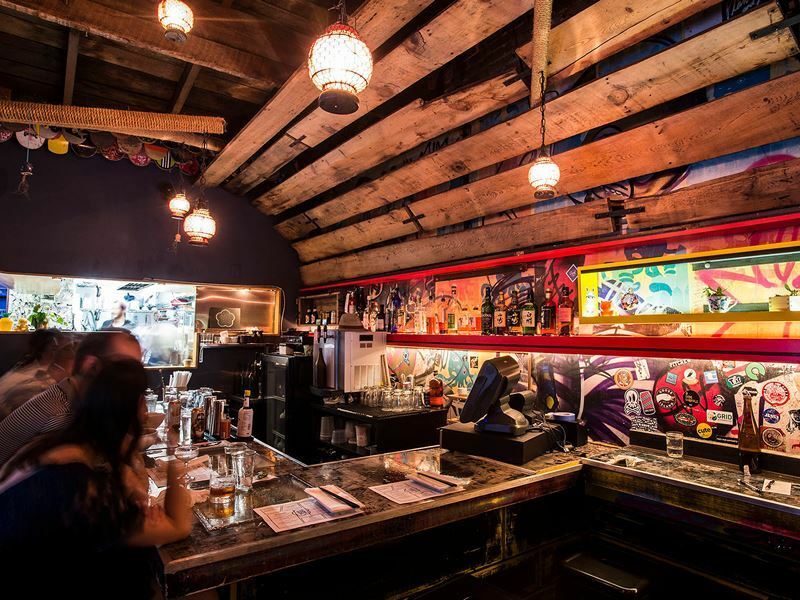 The scene: A trendy hotspot for foodies with a hunger for Japanese small plates, Izakaya Seki serves up mini portions of imaginative Asian bar food in unassuming surroundings. 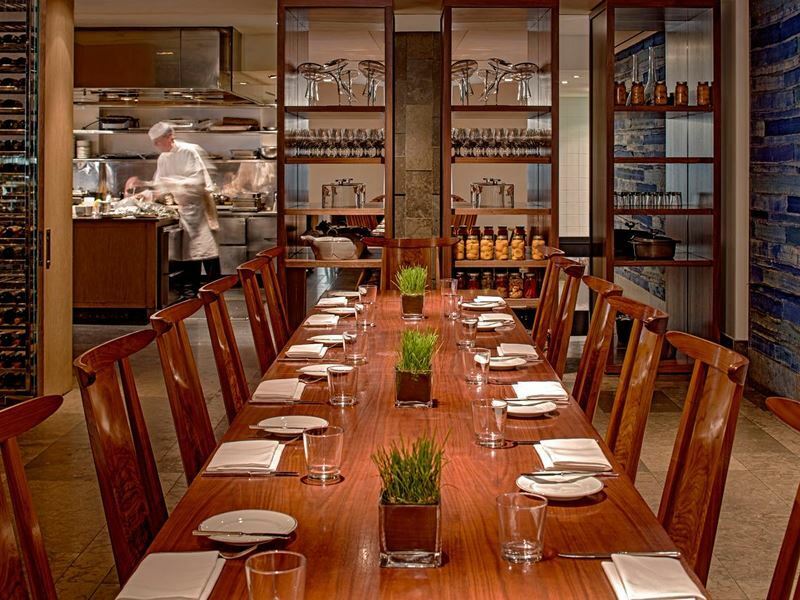 Pull up a stool at the action-packed chefs’ counter for dinner and a show or retire to one of the more relaxed tables in the fashionably basic upstairs dining room. Wherever you decide to sit, the perfectly presented dishes that arrive at neighbouring diners tables and the amazing smells of fresh seafood that imbue the small restaurant from the kitchen will undoubtedly leave you salivating before you even have a chance to glance at the menu. To guarantee freshness and creativity in every bite, the menu changes frequently but always features a harmonious blend of raw seafood, rice and noodle bowls, and a tempting assortment of grilled, broiled, steamed, simmered and fried meat and seafood dishes, many doused in Izakaya Seki’s delicious house-made sauces for rich colour and deep flavour. Signature dish: Because the menu changes so often, there’s no real signature dish. But the chef’s rotating sashimi selection is consistently sublime. 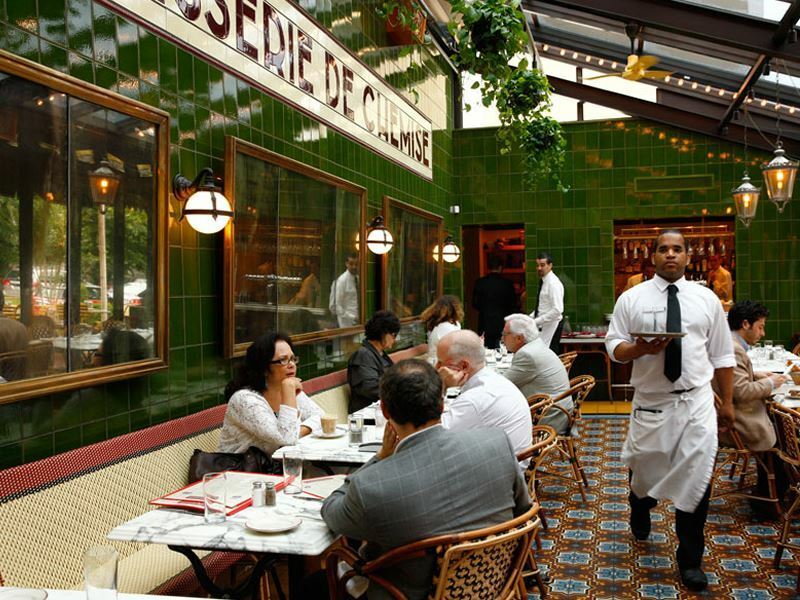 The scene: Paying homage to the iconic French café culture, Le Diplomate provides diners with a comfortable place to enjoy everything from classic steak frites on a romantic weeknight date to a flaky croissant for a relaxed weekend brunch or a plate of fresh oysters for a special occasion lunch. Taking leave from the usual fine dining atmosphere French restaurants are known for, Le Diplomate has a distinctly warm and inviting ambiance, with comfy booths, extended windows and a tiled floor giving it a casual patio-like feel. The extensive menu features a medley of French classics, such as bouillabaisse and onion soup, along with more international classics, like burgers and half roast chickens. All diners are treated to a starter of house-made fresh-from-the-oven baguettes which go wonderfully with the selection of French cheeses on offer. A thoughtfully-curated wine list and array of speciality cocktails complete the experience and ensure that it’s one you’ll yearn to repeat. Signature dish: Escargots served in a garlic and parsley butter, topped with small puff pastry circles. The scene: One of the hidden gems in Washington D.C. that really shines through, The Red Hen is known for its marvellous Italian comfort food, with everything made from scratch whenever possible. 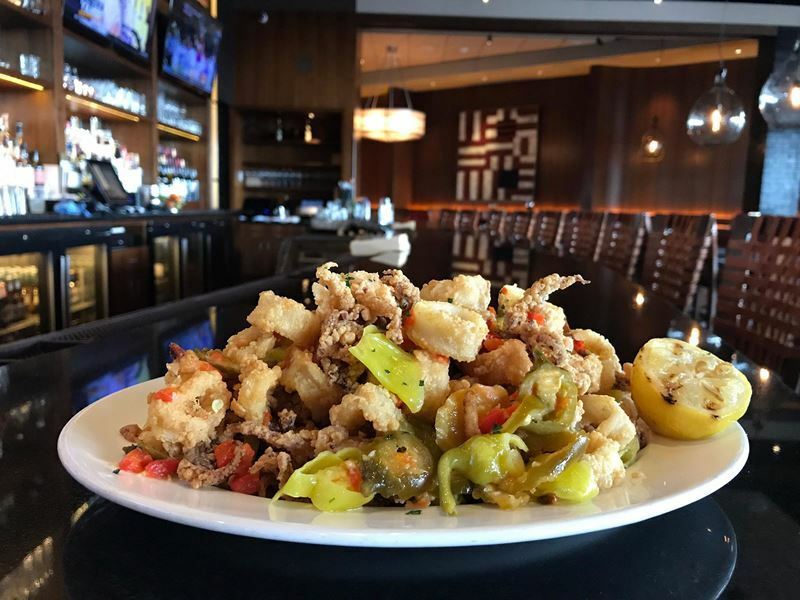 From the innovative bite-size antipasti plates loaded with the perfect complementary ingredients to house-made pastas with classic Italian flavours and excellently expedited main courses, everything from The Red Hen is oozing with influence from the Mediterranean. Even the décor, with its bare brick walls, wooden booth seating and tall imposing ceilings suggest that you’re dining in a rustic farmhouse somewhere in the Italian countryside, not in the centre of America’s capital. But not even the simply stunning environs will hold your attention enough to distract you from the charming presentation of the food that’s somehow gourmet and homely at the same time. The vast selection of quality wines imported straight from Italy is exceptional, but the cocktails are arguably even more sublime, decorated with beautiful flowers and other edible adornments for that extra special touch. Signature dish: Mezzi rigatoni served with fennel sausage ragu and pecorino romano. The scene: Small and unassuming from the outside, Rose’s Luxury is easy to miss, but to do so would be a real culinary sin. This snug dining venue has won multiple awards for its over-the-top delectable menu showcasing New American small plates that get better with every visit. Never afraid to experiment with bold flavours or add a pop of heat, the head chef creates international masterpieces with a southern comfort food flair that taste so good you’ll wish you’d ordered two. The crispiest fried chicken you’ve ever had in your life, taste bud-tingling sake- and wasabi-marinated oysters, and inventive carrots “pastrami” are all must-order dishes, so try not to fill up on the complimentary homemade bread and sweet honey butter, no matter how delicious it tastes. In total contrast with the punchy and bold cuisine, the prompt service is provided by sweet and attentive servers who fit in perfectly with the farmhouse-style dining room. Signature dish: Pork sausage served with habanero chillies, peanuts and lychee. 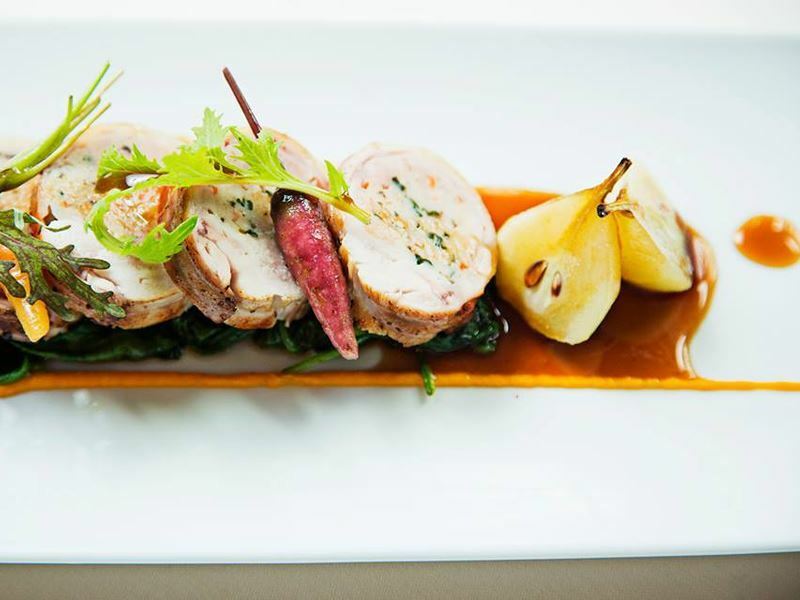 The scene: Upholding authentic haute cuisine traditions that any other restaurant in the city simply can’t match, Marcel’s by Robert Wiedmaier is the chef’s flagship restaurant where he serves exceptional French and Belgian plates with a modern-day twist. The elegant and luxurious dining room, with its white linen tablecloths, comfy armchair seating and well-laid tables, is the perfect balance of sophistication and modesty, without a hint of off-putting pretentiousness. The evening menu is augmented by seasonal daily additions and takes the form 4-7 course set menus, although diners do have the option to order dishes individually a la carte. 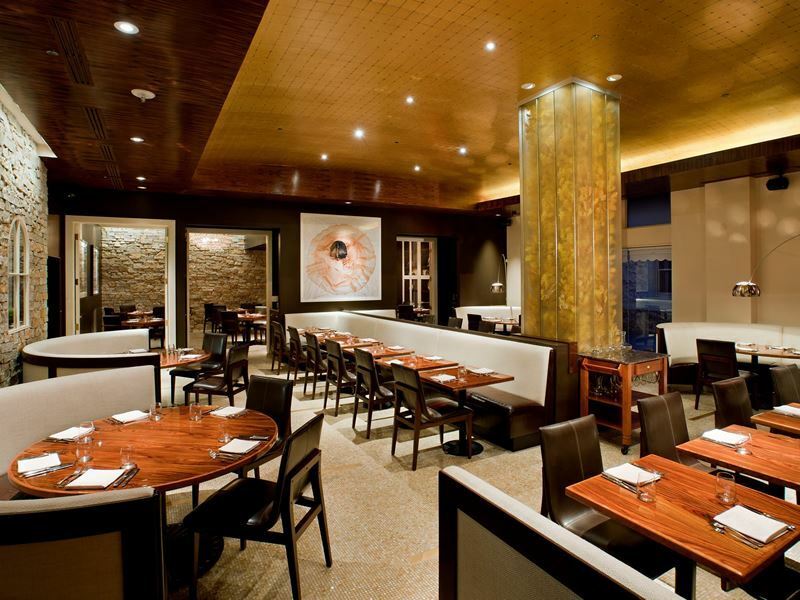 From seafood classics such as gratin of Blue Bay mussels and pan-seared turbot to more meaty offerings like Colorado elk loin and three complex foie gras plates, this gourmet establishment exceeds the expectations of even the most discriminating foodie. Signature dish: Marcel’s classic boudin blanc, served with black truffle mushroom puree, caramelised onions and bacon lardons. With an amazing new restaurant opening up what seems like every day, there are simply too many spectacular places to eat in Washington D.C. to mention just ten. To do the city’s fire-hot and ever-growing dining scene justice, here are 11 more outstanding restaurants that deserve to be on the main list but narrowly missed the cut. Serving formal New American cuisine in a quiet and elegant townhouse, this upmarket eatery offers the perfect blend of old-world service and new-world cuisine in intimate, candle-lit environs often filled with famous faces. This vibrant, urban restaurant delivers creative plates loaded with exciting Asian and international flavours, including a plethora of takes on their signature Pekin-style duck, alongside inventive cocktails in funky, hipster surroundings. Featuring modern, inventive tapas dishes side-by-side with classic items like paella and sangria, this charming Spanish bistro might be part of a small chain, but that doesn’t take away from the lively atmosphere and dynamic flavours that flow throughout the avant-garde space. 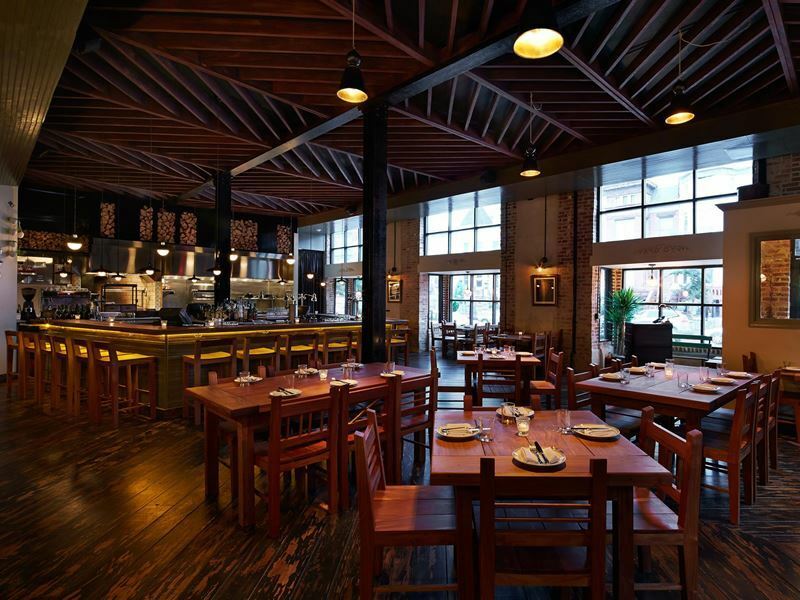 An exceptional fusion restaurant that’s almost always fully-booked, this American-Mediterranean eatery offers a one-of-a-kind prix fixe multi-course menu served over the course of several hours in an understated, rustic dining room. Specialising in upscale Thai fare in a buzzing, lively atmosphere, this small, charismatic dining room is the best place in the city to savour street food-style eats in the form of an exciting prix fixe menu in a cool, shabby chic setting. A stylish fine dining restaurant with only one thing on offer, an eclectic modern American eleven-course tasting menu with alcoholic or non-alcoholic drink pairings, this effortlessly classy venue is the place to indulge your gourmet taste buds with an evening of culinary surprises. This phenomenal Indian restaurant takes centuries-old recipes and interprets them in an ingeniously modern way, transforming them into somehow familiar yet totally unexplored dishes unlike anything you’ve ever eaten, all in a swanky, deluxe location. A delightful Mediterranean restaurant creating increasingly addictive tapas-like nibbles and offbeat individual main courses with a wide selection of imported beers and wines in a light, contemporary dining room perfect for an impromptu dinner. 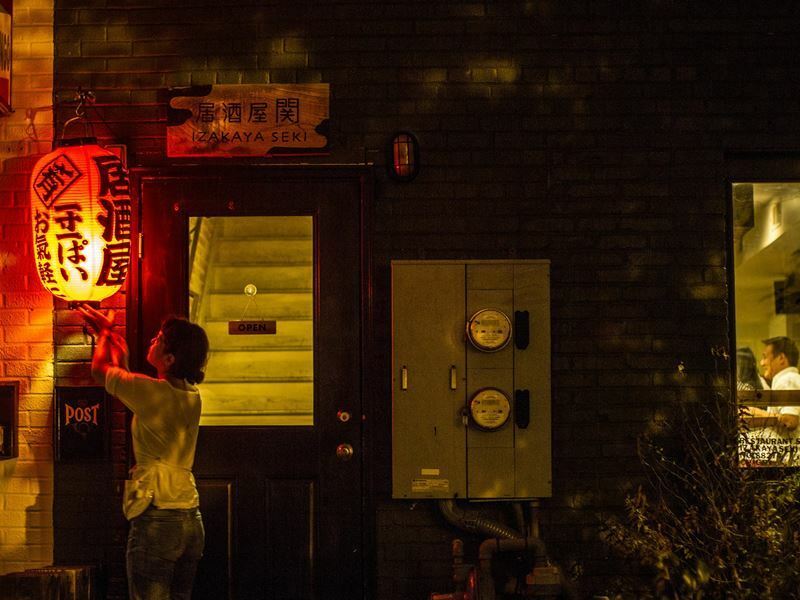 A trendy and offhand shack for some of the best bowls of ramen you’ll find anywhere in Washington D.C., this mega popular noodle house delivers all the best Asian comfort and street foods in a tiny, funky dining room with an authentic Japanese feel. Boasting an enviable waterfront location, this stunning restaurant features a plethora of fresh-as-can-be sustainable fish and seafood, complemented by a spectacular raw bar, hand-crafted cocktails and carefully-selected wines in a light, airy and spacious dining locale. With a menu bursting with exceptional small plates perfect for sharing, this Mediterranean-inspired restaurant specialises in alluring mezze platters enhanced by sunny service, a warm cosy décor and a high-octane bar scene that will make you want to stay until last orders. More things to explore in Washington D.C.
Top 10 things to do in Washington D.C.